Dr. Walker is one of the first cosmetic surgeons in upstate New York to offer SmartLipo® LaserBody Sculpting. The development of laser technology has completely changed the way we think about liposuction. The days of having to live with a belly pooch, bulges from your bra line, school teacher arms, or an extra roll above your belt line are over. 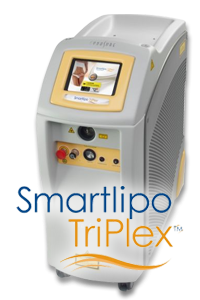 SmartLipo TriPlex refers to the newest technology which combines three wavelengths of light energy (1064nm, 1320nm, and 1440nm) that are blended together to melt fat, decrease bruising and tighten the skin. SmartLipo is performed under a light oral sedation, with tiny incisions, as an out patient. Because of the multiple wavelength laser, there is minimal pain or bruising. The best part of getting SmartLipo® is that the results are spectacular! SmartLipo® has become increasingly popular with men and women not only in the greater Binghamton area, but nationwide after receiving rave reviews from online TV personalities such as Dr. Oz. It all starts with a personalized consultation with Dr. Mark Walker who has been certified by Cynosure in SmartLipo®. Dr. Walker will walk you through what will happen the day of the procedure and also review with you your reasons for your interest in the procedure and what to expect during recovery. Once you decide that SmartLipo® is a good fit for your desired results, the staff will book a time for you that is convenient to your lifestyle and fits in with your recovery schedule. The procedure begins with Dr. Walker marking the areas to be treated. You will then be lightly sedated to make the experience more enjoyable. Dr. Walker the numbs the areas using a tumescent technique that he has used over 20 years. The solution is introduced through tiny incisions, no wider than the tip of a pencil. There is no need for IV lines or the expense required for an anesthesiologist to be present. Once the underlying layer of fat is numb, a tiny fiber optic thread is inserted which delivers the laser energy necessary to melt fat and tighten up your skin. Since you're awake during the procedure, you can listen to music or talk with our staff while Dr. Walker sculpts a new you! While recovery times vary from patient to patient, we find that most patients are back to work in a few days if they wish. Because SmartLipo® is minimally invasive to your body, recovery time has been reduced along with bruising. You will be guided to use a compression garment to help mold your final result. The length of time of wearing a garment will be determined by the area treated and your natural skin elasticity. Performed by Binghamton's top rated Cosmetic Surgeon, Dr. Mark Walker. 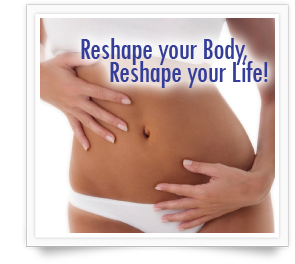 Are you ready to sculpt a new you with SmartLipo® procedure? Call (607) 729-5085 or fill in the form on this page and our staff will call to set up a convenient time to sit down with Dr. Walker and discuss your options and desired results.